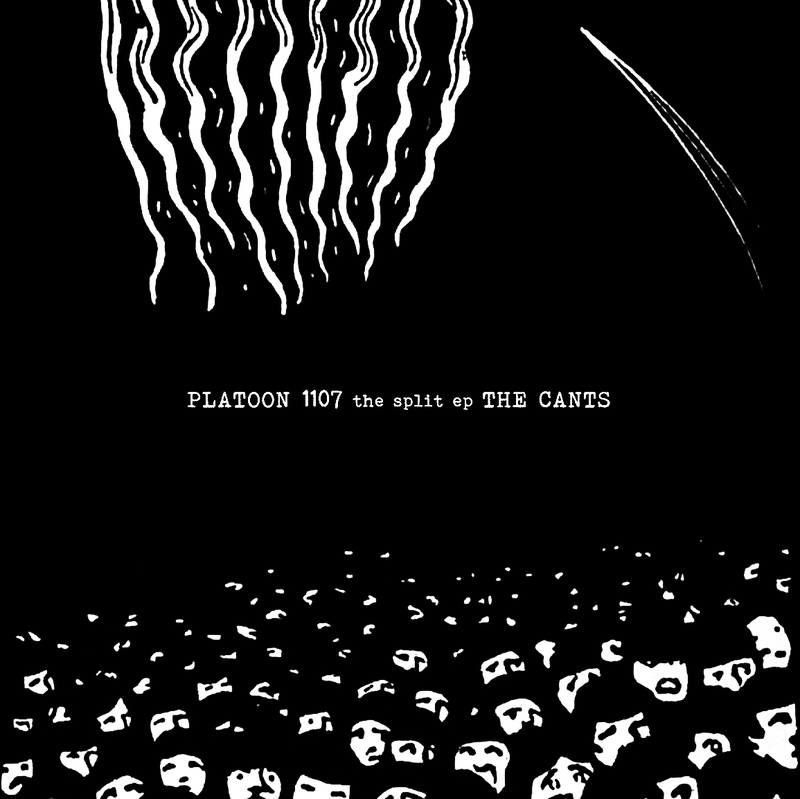 The Platoon 1107/Cants split is really a tale of two eps. One amazing ep and one that falls a little short. Platoon 1107 kicks off the record and they kick it off well. Twenty Six Counts of Battery comes blazing in punk intensity and fury. Each of the band’s six songs hits hard, musically and lyrically. Taking on politics and Americanism. It’s meaningful, socially aware, punk rock. It’s what punk rock is supposed to be. Separatist is a great closer to Platoon’s portion of the record. It’s the calling out of American politicians and celebrities. And then we get to The Cants. I don’t hate The Cants songs. In fact they’re quite good. It’s less biting and more fun than Platoon 1107. The songs are upbeat, not quite catchy, but have a great summer time vibe. But what bothers me is the way their songs were recorded, mixed, and mastered. If the ep was on its own, I wouldn’t give it a second thought. It would just be an awesome, lo-fi punk record. But Platoon 1107’s songs are so hard hitting and “polished” that when The Cants songs start, its jarring and takes me out of the record.